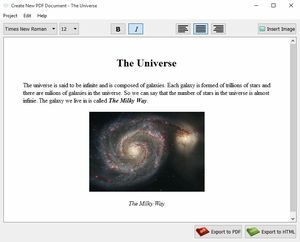 3StepPDF Lite can create, merge, split, watermark and crop PDF files. You can use it to create new PDF files and scratch and edit them just like any other document. It also supports extracting text from a scanned document. PDF documents can be merged into one larger PDF files too, and the software supports adding an identifying watermark to a PDF document.